Yes, you read that right. I am happy to report that there is actually a Museum of Bags and Purses. My sister recently took a trip to Amsterdam where she visited this unique design destination. The largest bag museum in the world, housing purses from the late Middle Ages to the present, it is located in a charming restored 17th century canal house that is a story in and of itself. And since, in 2013, Amsterdam will be celebrating the 400th anniversary of the construction of its ring of canals, much more information will be available about the history of the families who resided in this historic structure. My connection to this fascinating locale is a book my sister gave me for Christmas. Bags, written by Sigrid Ivo, the director of the museum, is a fabulous volume offering an overview of some of the most important pieces in the collection as well as a history of the bag, illustrating its importance not only as a harbinger of fashion trends but also of socio-cultural developments and the emancipation of women. As Ivo explains, “Like so many museums, the museum is a result of one individual’s passion for collecting a specific item. 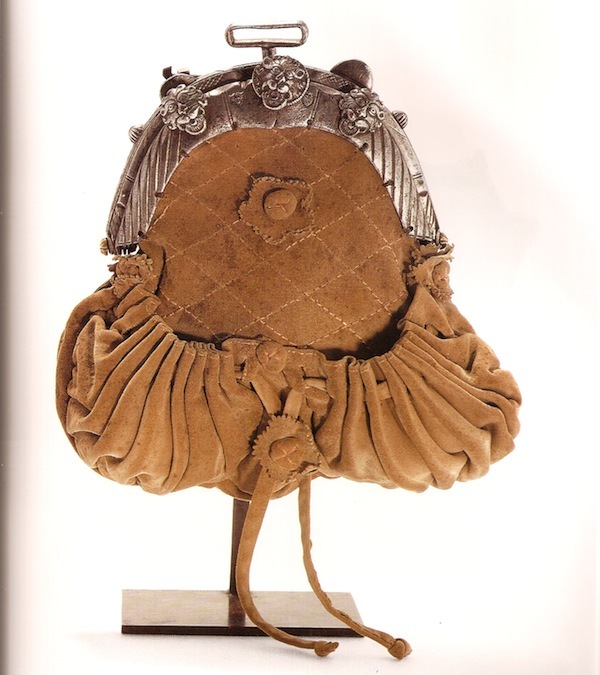 The collection was built up by my parents, collectors Heinz and Hendrikje Ivo, over a period of 35 years…what started out as a personal fascination has grown to become an extensive collection, and is now a remarkable, truly unique museum.” Starting with the earliest bags, such as this 16th century German velvet belt pouch, the book shows how bags, like other decorative arts, traces not just fashion but historic developments in society over the centuries. 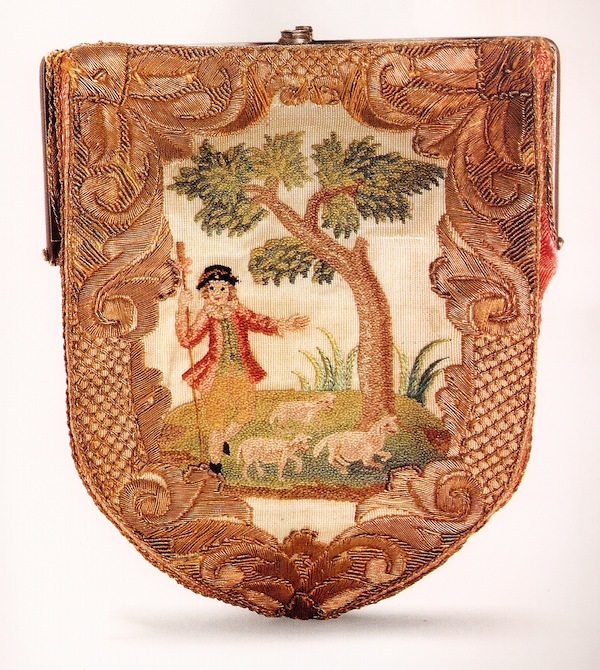 A purse like this early 18th century French one with silk and gilt embroidery might have been luxury packaging for fragrant flower petals or a wedding gift containing money. 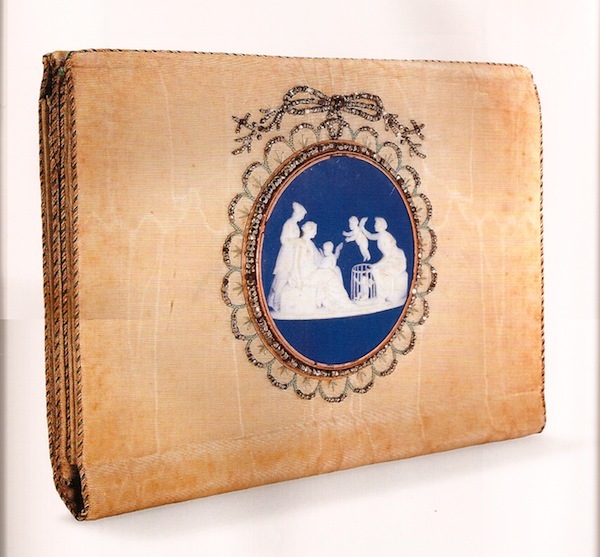 Both men and women kept their letters and important papers in special wallets or cases. They were often gifts. I wouldn’t have minded receiving one like this early 19th century British silk case with a Wedgwood medallion. With the increase in travel in the 19th century came an interest in souvenirs. 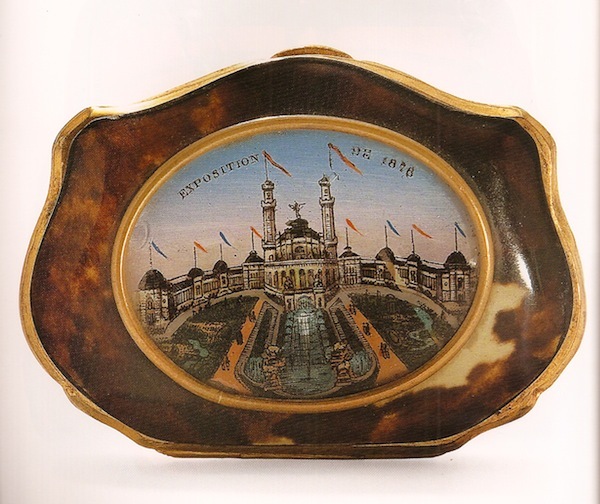 Whether a memento of personal travels or of a historic event, small bags appeared in many forms such as this tortoise shell coin purse commemorating the World’s Fair in Paris, 1878. And now that people were traveling more, a wider range of sophisticated and elaborate suitcases, bags and specific gear came onto the scene. Who doesn’t love these marvelous fitted traveling cases that included a spot for everything, such as the British one below from 1896. 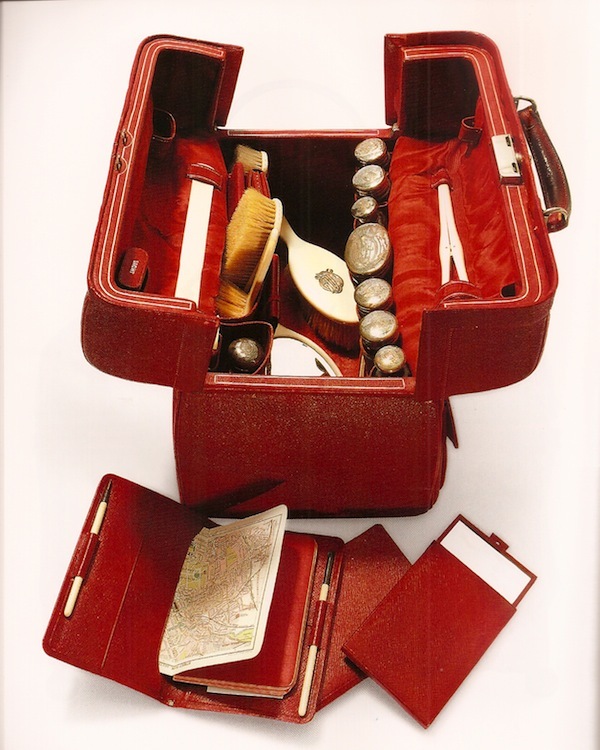 I was reminded of a wonderful show I had seen at the Metropolitan last year of 400 years of boxes including amazing necessaires for traveling. And if you are particularly interested in this era of civilized travel, I also recommend the volume Louis Vuitton: 100 Legendary Trunks, an amazing look through the archives of Vuitton’s customized trunks. 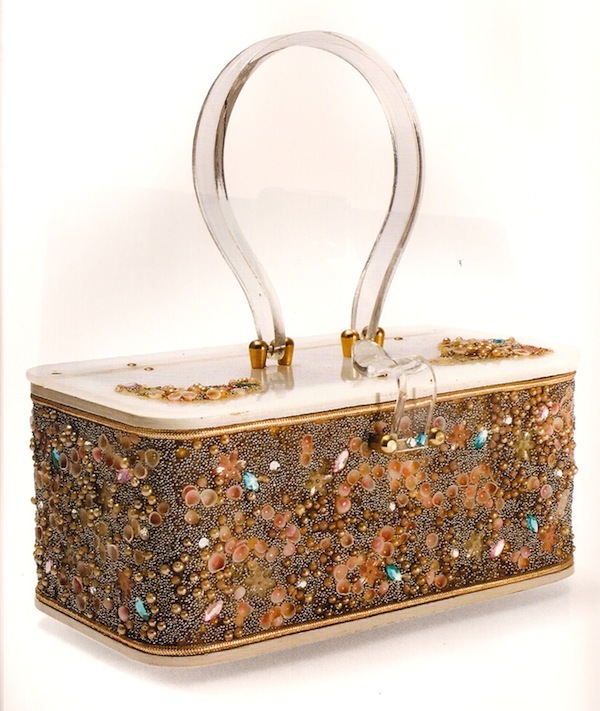 And under the category of evening bags are more examples of compartmentalized splendor such as this Belgian brocade bag from the 50’s that had specific spaces for coin purse, lipstick holder, comb and cigarettes. And check out the chain – so chic! This thorough compendium also discusses the use of different materials and how they changed with the times. While ivory was used extensively in the 19th and early 20th centuries, the advent of plastic offered opportunities for much less expensive imitations. 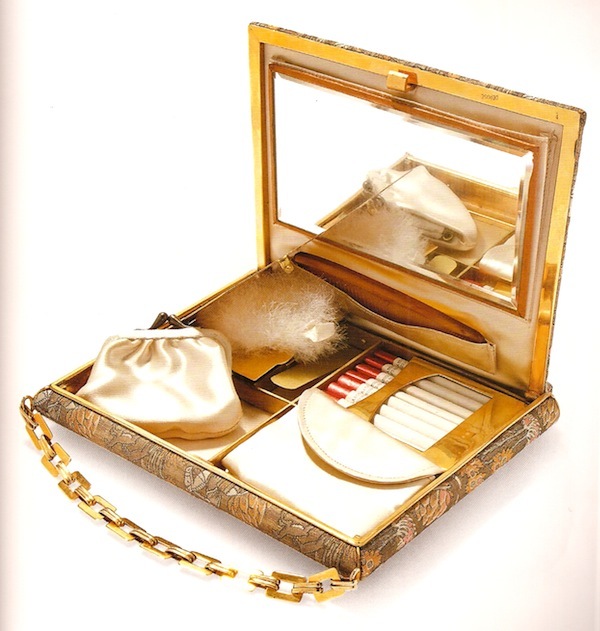 But by the 1930’s, plastic was used not because it was necessarily cheaper but because of its sleek smooth surface as with this Chanel faux ivory clutch. And then in the kitsch 50’s plastic became all the rage. A section on unusual bags features an incredible selection of unique bags of special designs and occasional gimmicks. 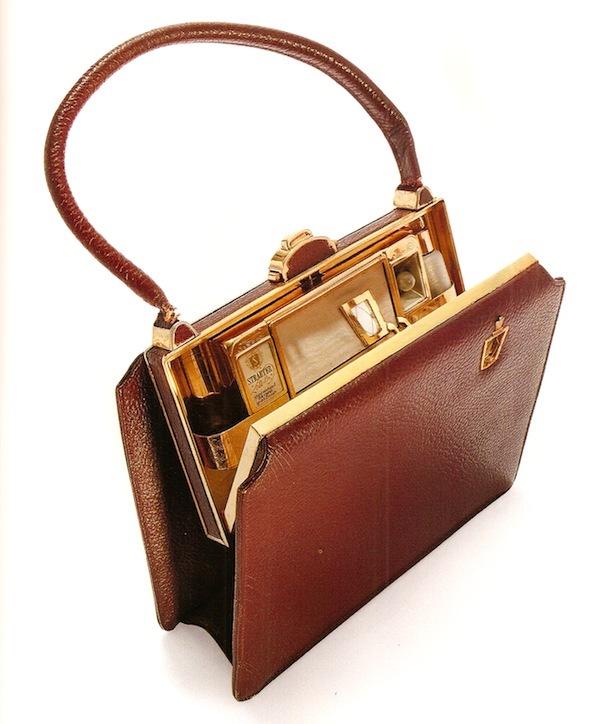 This 1953 leather ‘Lite-on’ bag by Amsterdam designer L.F.W. Straeter was originally incorrectly ascribed to Elsa Schiaparelli. With special compartments for lipstick, comb, cigarette and perfume, it also has a little light to illuminate the contents. Shining through a small hole in the front to help find a keyhole or shed light on a path – such thoughtful considerations! 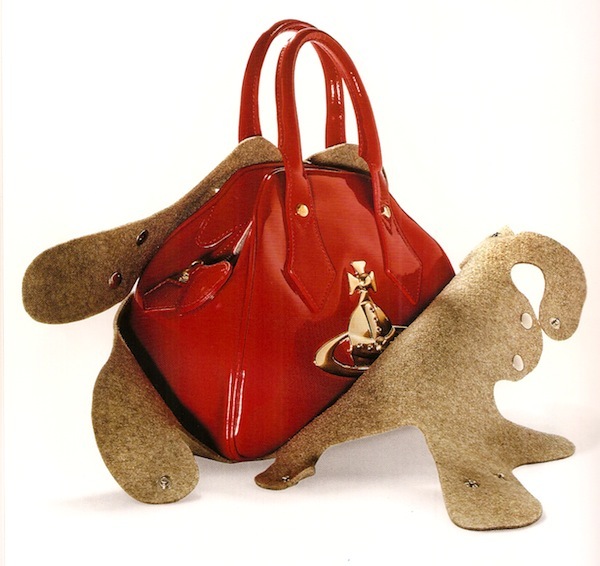 The final section discusses the designer bags in the collection which of course includes classics from all the biggies – Hermès, Gucci, Chanel, Dior, Fendi, Vuitton, Prada etc. 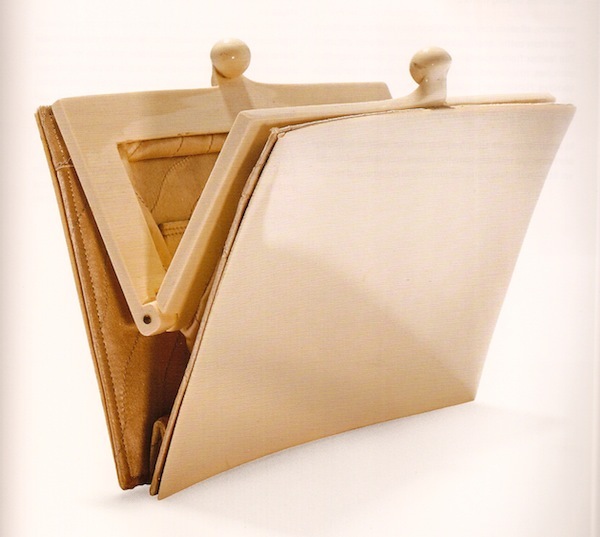 But there are also some surprises such as this patent leather handbag with matching cover from Vivienne Westwood. as well as a fun gift shop, from which I received a couple of small stylish items, made by a local designer in a studio around the corner from the museum. If you have an interest in design, fashion history, the decorative arts or just a love of style and accessories, this book will surely be a dog-eared title in your collection. It’s a volume that connects the dots. 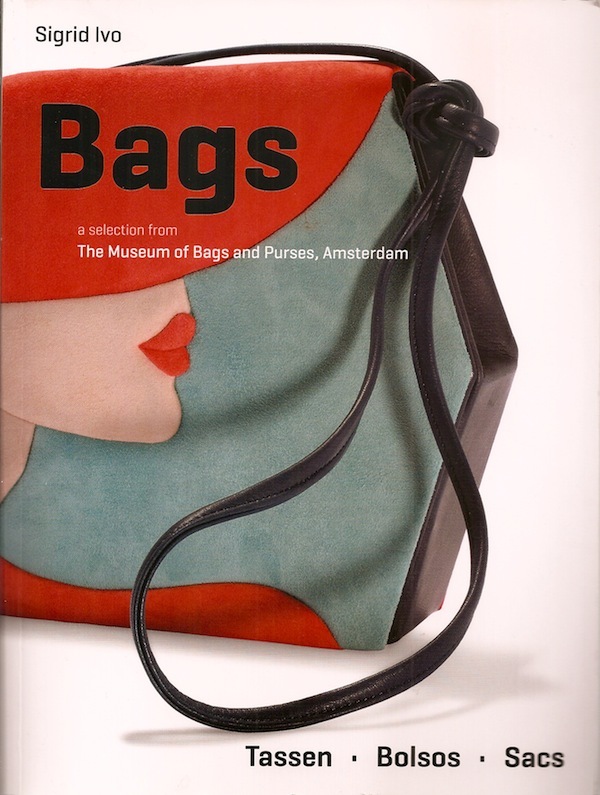 And next time I’m in Amsterdam, the Museum of Bags and Purses will certainly be on my must-see list! This entry posted in architecture, fashion, history, travel. 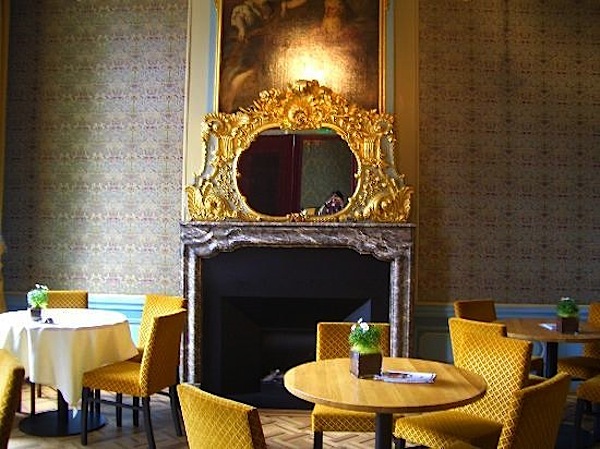 Entry Tags: Amsterdam, Fashion history, Museum of Bags and Purses Bookmark the permalink. Having collected and then sold many “bags” I love the concept of this little museum. The condition of these artifacts is amazing. The care with which they were kept speaks volumes about the owners. 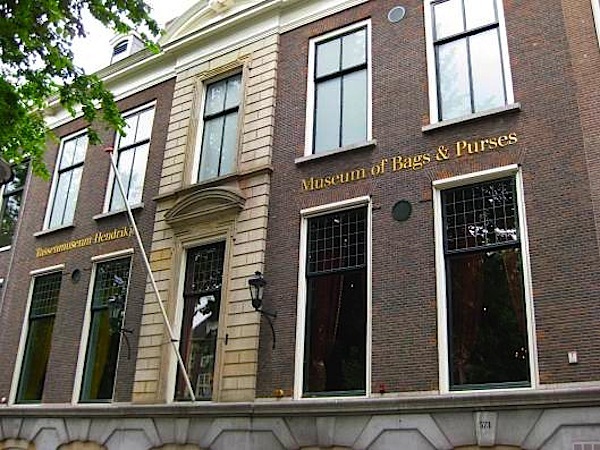 Who knew there was a Museum solely for purses…I love it and can’t wait to visit it next time in Amsterdam. Thanks for sharing and thank you to your sister for the pictures. My best friend who lives in Amsterdam has told me next time I am in Amsterdam, we must go here! Now, I know why why my niece was so intrigued with the place! She is theeee handbag collector of all time! 78 queries in 0.517 seconds.